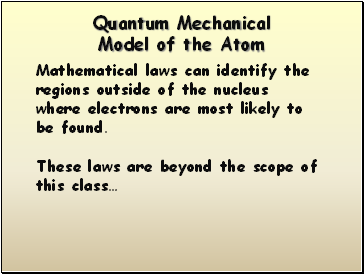 Mathematical laws can identify the regions outside of the nucleus where electrons are most likely to be found. 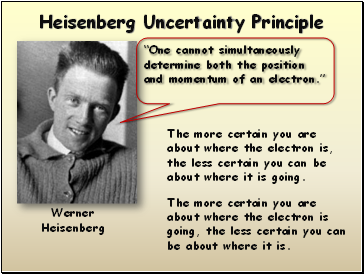 The more certain you are about where the electron is, the less certain you can be about where it is going. 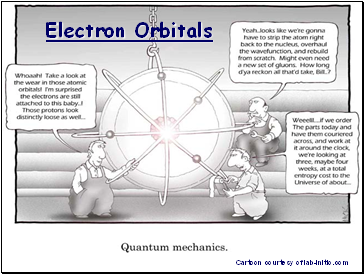 The more certain you are about where the electron is going, the less certain you can be about where it is. 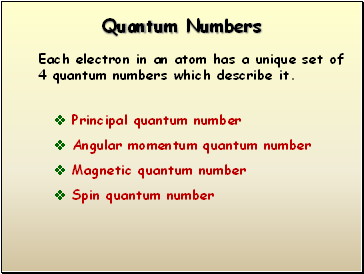 Each electron in an atom has a unique set of 4 quantum numbers which describe it. 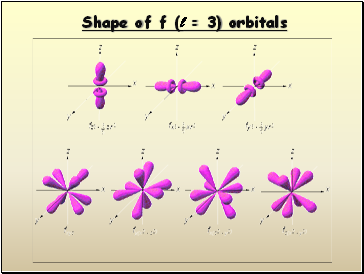 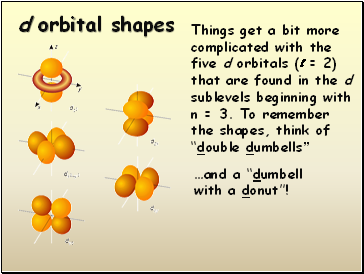 Orbital shapes are defined as the surface that contains 90% of the total electron probability. 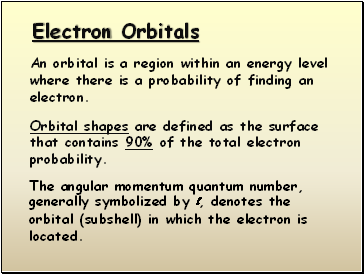 An orbital is a region within an energy level where there is a probability of finding an electron. 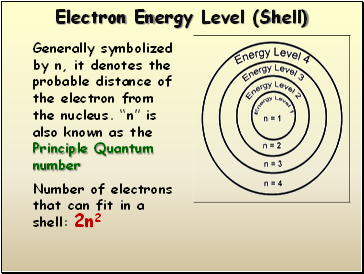 The angular momentum quantum number, generally symbolized by l, denotes the orbital (subshell) in which the electron is located. 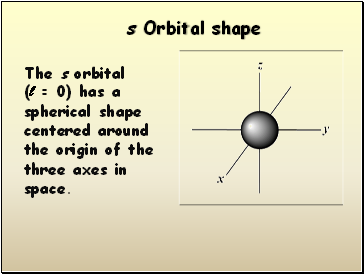 the origin of the three axes in space. 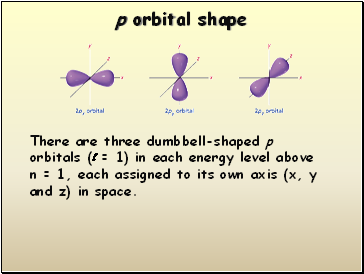 There are three dumbbell-shaped p orbitals (l = 1) in each energy level above n = 1, each assigned to its own axis (x, y and z) in space.